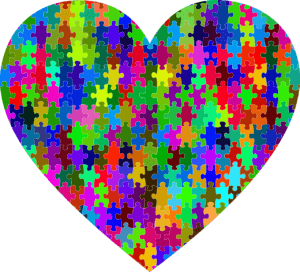 Fabulous February awareness is the month for Love, Black History, Heart Disease, Cancer and Teen Dating Violence awareness, to name a few. Holidays this month include Valentines Day and President’s Day. Awareness days include National Girls and Women in Sports Day; Give Kids A Smile Day and Love Your Pet Day. Awareness weeks this month bring us Burn Awareness Week; Random Acts of Kindness Week and National Eating Disorders Awareness Week. Each year during February, advocates join forces to raise awareness about teen dating violence (TDV) and put a spotlight on ways to help diffuse and prevent it from happening. According to the National Resource Center on Domestic Violence, approximately 1.5 million high school students nationwide experience physical abuse from a dating partner. Statistics state that 3 in 4 parents have never talked to their children about domestic violence. There are many resources available to provide information and support to victims and help others to dcrease the prevalence of TDV. 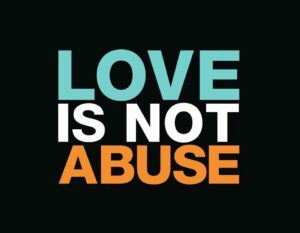 For the past 10 years, Break the Cycle and the Love Is Not Abuse Campaign have been hosting It’s Time To Talk Day. This awareness campaign aims to create conversations about healthy relationships and prevent teen dating violence and abuse. The 2017 NO MORE campaign developed a toolkit titled “How to Start a Conversation: Talking About Dating and Healthy Relationships Step-by-Step”. February 1st brings us National Girls and Women in Sports Day, now in its 31st year. The day recognizes the progress sparked by Title IX and the ongoing effort to ensure access to sports for girls and women. This year’s theme is “Expanding Opportunity.” Despite the Title IX legislation’s impact, only 40% of high school girls are currently playing sports, leaving three-in-five girls without the opportunity to compete. According to NGWSD, studies show that girls who play sports have better health, higher self-esteem, stronger leadership skills, greater academic achievement and economic opportunity. February 3rd is National Wear Red Day. Each year, heart disease and stroke cause 1 in 3 deaths among women, killing approximately one woman every 80 seconds. Did you know that 80 percent of cardiac and stroke events may be prevented with education and action? Go Red For Women is the American Heart Association’s national movement to end heart disease and stroke in women. The campaign asks everyone to wear red on National Wear Red Day® which is Friday, February 3, 2017, and is designed to encourage others to make the time to Know Your Numbers. Five numbers to be exact, that all women should know to take control of their heart health: Total Cholesterol, HDL (good) Cholesterol, Blood Pressure, Blood Sugar and Body Mass Index (BMI). Knowing these numbers can help women and their healthcare provider determine their risk for developing cardiovascular diseases. 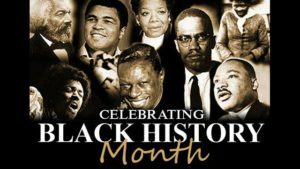 Black History Month a/k/a African American History Month recognizes the important people and events in history. Celebrated each year in February in the United States, Canada and the United Kingdom. Check your local communities to join an observance or celebration.